In this 1971 photo, where Sumlin is performing with Howlin' Wolf, he is playing the Gretsch G6122. Throughout this video Phil X is demonstrating a 1963 Gretsch G6122 Chet Atkins Country Gentleman. 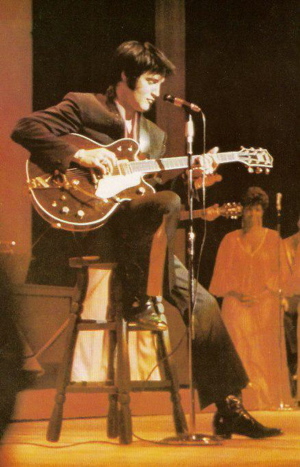 For opening of the 1969 Las Vegas concert in International Hotel, Presley used the Gretsch Country Gentleman. In this video of Kaiser Chiefs performing "Falling Awake" live at O2 Arena, White can be seen playing the Gretsch Country Gentleman guitar. at 8:09, Claudio can be seen playing a G6122 for part of Coheed's 8th studio album "The Color Before the Sun"
In this [video of the Stone Roses' live performance of "Waterfall" on the UK television show *The Other Side of Midnight*](https://youtu.be/HdxkzKdZn2I?t=23s), we see Squire playing his Country Gentleman. 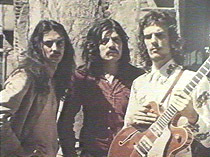 In this photo, Idol is seen playing the Gretsch Country Gentleman with Generation X, possibly somewhere in 1980. Not much is known about this guitar; the extra switch is added, possibly to split the pickups. In this photo, Gold is seen holding the Gretsch G6122 Chet Atkins Country Gentleman guitar. At 4:30 in this Gretsch Guitars video featuring Jeff Bridges, Bridges states he owns a Gretsch Country Gentleman. No reviews or videos yet for Gretsch G6122 Chet Atkins Country Gentleman Electric Guitar. With an Equipboard account you can rate this item, add it to your collection, submit a review to discuss what you like and dislike about it, and associate Gretsch G6122 Chet Atkins Country Gentleman Electric Guitar to artists that use it. Create an account!